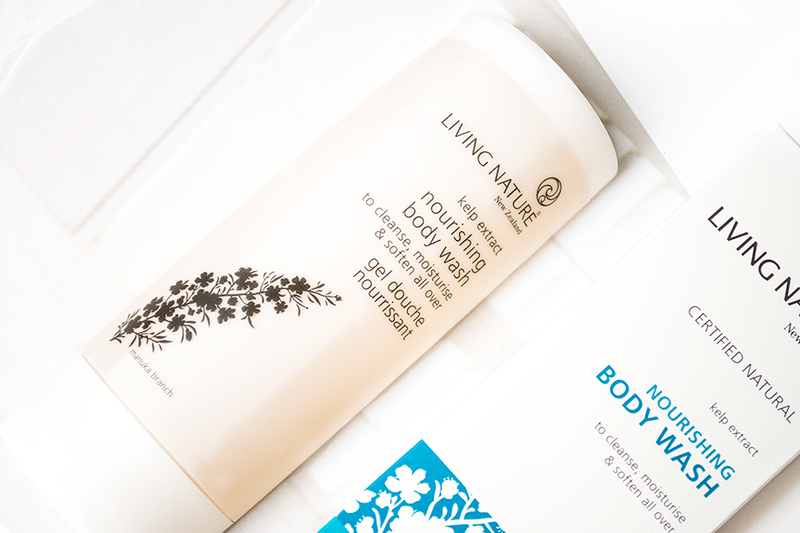 Living Nature are a New Zealand-based brand that I've tried a few times before and I think they have great principles when it comes to using 100% natural ingredients and acknowledging environmental issues. I don't know about you, but it always makes me happy to know there are companies out there who are actively making an effort to reduce their impact on the planet! Their full range is certified natural by BDIH Germany, product packaging is recyclable (as well as being free from harmful BPA and phthalates, with any paper/cartons sourced from renewable forests) and their production facility even uses a renewable (wind and hydro) energy supplier. I'm not very fussy when it comes to body wash and mostly stick to the budget friendly, but I was intrigued to see how the more luxuriously priced (£19.75) Living Nature Nourishing Body Wash* would perform. This body wash uses the unique gentle cleansing ingredient Kumerahou, a plant native to New Zealand which has anti-microbial properties and can amazingly produce a lather by rubbing the flowers and leaves together in water. It also contains active manuka honey, kelp, bisabolol from chamomile and ginger extract which all have soothing properties, so it's particularly ideal for sensitive or dehydrated skin. Have you tried this body wash or any other Living Nature products before?